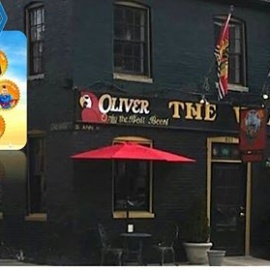 The Wharf Rat, an affectionate 18th century term for seafarers, pirates, and privateers (temporarily ashore), and the namesake of our pub in Fells Point owned and operated by the Oliver family. 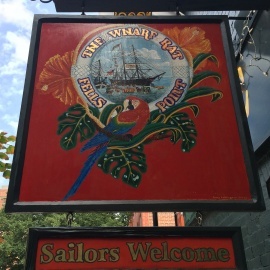 A favorite port of call for sailors and adventurers from around the world, our pub captures the spirit of the glorious day of wooden ships and iron men. The Olivers’ origins of waterfront hospitality dates back to Merry Ole England where Oliver’s Wharf, still standing on the banks of the Thames in east London, played host to pirates and vagabonds awaiting their appointment next door at Execution Dock. In the romantic days of billowing white sails and colorful characters, inns and pubs prepared their own food and made their own beer as well. We treasure those days at The Wharf Rat. We are dedicated to preserving their spirit by serving “Only the Best Beers” from the seven seas lovingly preparing home cooked foods, brought to you in an authentic waterfront atmosphere filled with numerous antiques and collections that are reminiscent of the glory days of old Fells Point.